King Tut's tomb is one of the most fascinating finds of ancient Egypt. The ancient Egyptian King Tutankhamun has captured imaginations since the discovery of his entombed remains in 1922 by Howard Carter. 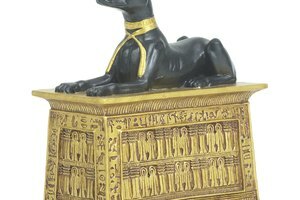 The study of the artifacts left behind in Tutankhamun's tomb as well as his mummy provide insight into the life and status of this teen pharaoh and the Egyptian society he briefly ruled. Tutankhamun performed many significant acts during his brief reign as king. His father Amenhotep IV had previously abandoned the god Amun and other Egyptian deities to solely worship Aten. Amenhotep also changed his name to Akhenaten meaning "he who is beneficial to the Aten." Tutankhamun rejected this departure from tradition by leaving Amarna, the city Akhenaten built as a new religious capital, and returning to the traditional capital of Thebes to rededicate himself and his wife to the cult of Amun. Christened Tutankhaten (the living image of Aten) by his father, Tutankhamun changed his name to further distance himself from Akhenaten's deviation. King Tutankhamun's father Akhenaten was the full-blooded sibling of his mother, whose name is unknown. However the royal family did not suffer from outright congenital disease, as had been previously suggested from Amarna period artwork depicting elongated faces. 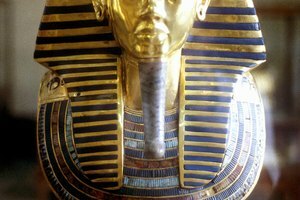 DNA research indicates that Tutankhamun was infected with several strains of malaria, which weakened his immune system and acted as a co-factor if not the primary cause of his death. Numerous theories abound as to how the young king died, including complications from a broken or deformed leg, a blood infection and more recent theories of a chariot accident. 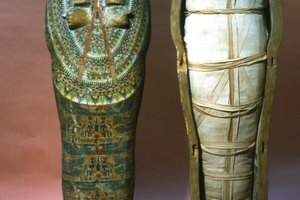 The mummy of King Tutankhamun provided insight into the methods used in ancient Egyptian royal funerary practices. 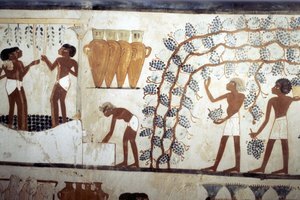 The embalming process used for pharaohs in the New Kingdom was highly sophisticated, and included the dessication of the body and removing of the digestive tract and brain. 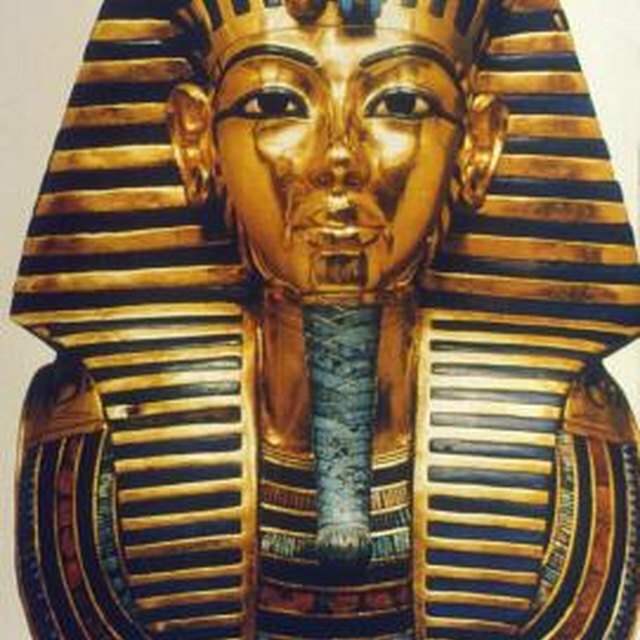 Tutankhamun's remains were coated in a resin which had hardened and forced Carter's excavation team to dismember the mummy in order to remove it from the sarcophagus. 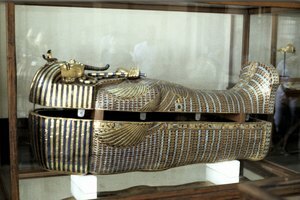 More recent CT scans revealed that the embalming oils used during King Tutankhamun's internment caused the spontaneous combustion of his remains within the sarcophagus. Tutankhamun's tomb in the Valley of Kings is relatively small, and historians theorize that he was interred there because his own royal tomb was not prepared at the time of his early death. The burial chamber was still decorated with images worthy of a king, including scenes from the Book of the Dead, Imydwat and the Opening of the Mouth ritual as well as the king depicted with several deities. 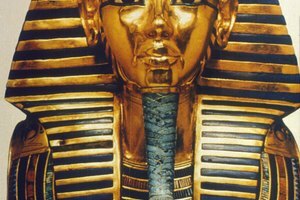 Tutankhamun's remains were buried among gold amulets, his famous solid gold death mask, bracelets and other jewelry that the king likely owned in life. The objects within the tomb, the gilded wooden shrines and the sarcophagus itself demonstrate the wealth of Tutankhamun's dynasty, and the importance the ancient Egyptians placed on the afterlife. Sanders, DaVaun. "What Did We Learn About Ancient Egypt When We Found King Tut?" Synonym, https://classroom.synonym.com/did-learn-ancient-egypt-found-king-tut-12637.html. Accessed 18 April 2019.